I recently acquired another 2 watch winder. This is a review of one of them. 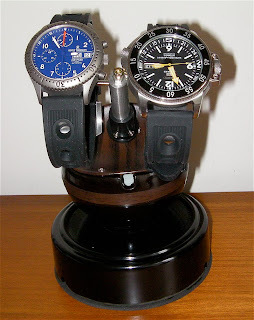 This is the 2 watch version of my 4 watch winder that I reviewed earlier. It is cheap at about USD 70. It is brand-less and got it from the same shop I got the 4 watch winder. As you can see from the photographs below, the build quality is not that bad. It could be better. The body is made of plastic and finished to look like it is made of wood. The base is made of black plastic. The bottom is made of slip resistant rubber. There is 3 'cooling' holes at the base and 1 on the round body. The winder itself is not big. It stands 6.5 inches tall and 4 inches wide. The base is 4 inches in diameter. It is smaller due to the fact that it is a 2 watch winder (compared to the 4 watch winder). The winder is only powered from the mains and it is not universal. It uses 120V 50/60 HZ. 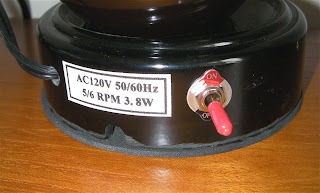 It provides 5/6 RPM 3.8W dual rotation motor. To change the direction of rotation, the winder has to be switch off (via a red toggle switch) and wait 10 seconds. Switch it on again and it rotates the opposite direction. The interesting thing is that this winder winds slower as compared to the 4 watch winder. Also I found out that if there is resistance to the winding direction, the winder will stop and rotate the opposing direction. 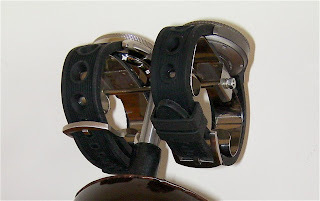 The watches are held in place by spring tension of the watch mount. The mount itself is rubber lined (central section only) to prevent scratches to the watch case back. This is very useful if you have watches with display back as it will not scratch the crystal. 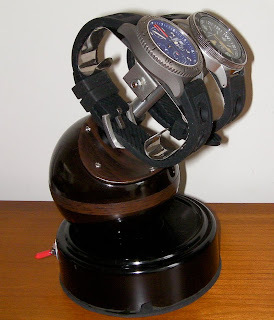 I would not mount metal bracelet watches on this winder as the watch mount can scratch the inside of your bracelets. There are a few things that you have to be careful with when using this winder. The first is when mounting watches 42 mm and above. There is a possibility that the watch will hit the central mount screw head. Look at the first photograph. This is not a problem on the 4 watch winder. 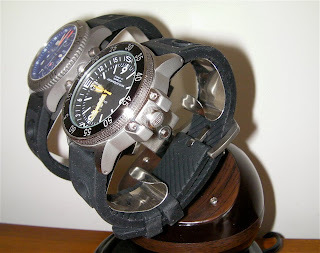 The other problem is when mounting watches with thick straps or bands. There is a possibility that the watch straps can rub against the body of the winder. As such, there is a need to ensure the straps do not rub against the body. Mounting the watch tighter helps. Overall, for about USD 70, I think the 4 watch winder is a better option. It can wind 4 watches and can take 4 watches up to 46 mm in size. At the moment I am happy with the purchase, but I will be changing the winder head to the 4 watch version (the base is the same) once it is available. I have ordered the head and hope to get it soon. However, for those who do not have that many watches, the 2 watch version should do the work.